A chainsaw is more than just your standard power tool— it has that sort of wow factor to it as well. Before I purchased my first chainsaw I looked with envy on my neighbors, friends, and family members that did own one. There’s something to be said for a machine that can slice through branches in 30 seconds when that would normally take you several minutes with an old-fashioned hand axe. 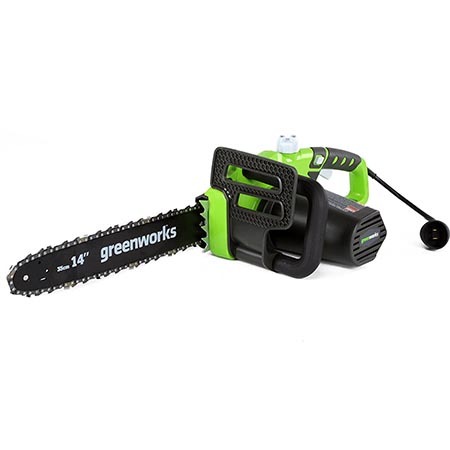 Of course, you shouldn’t purchase a chainsaw just because it looks and sounds cool – it’s also a great tool that can make your life a lot easier, and that’s the real reason that most people buy chainsaws. 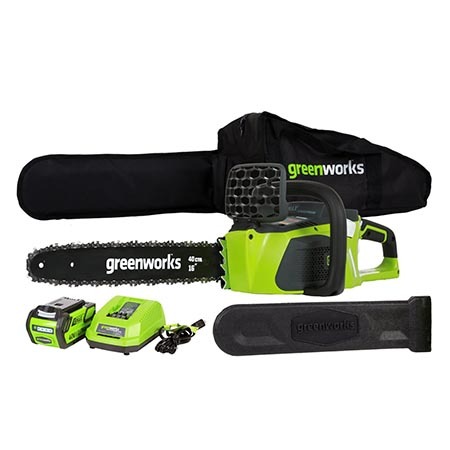 This site is designed to be your ultimate chainsaw buying guide, and as you look around you’ll notice articles on many different models and types. But you’ll also find a lot of information about how chainsaws work and what they can do for you. Essentially, there are two different types of articles on this site – those that focus on reviews and those that focus on information. In this buying guide we outline the information articles so that you can quickly find the information you’re looking for. You’ll find some great practical information on chainsaws in everyday language, but we also provide some more technical background when we think it’s necessary to provide you with a more complete picture. This guide is ideal for the average home owner or a professional looking for a little extra information. The articles are all self-contained, so feel free to read them in whatever order you like. We hope you find the information you’re looking for and we hope you enjoy the read! In this first article we take a look at the many different blade lengths available on the market today and the main uses for chainsaws with different blade lengths. Contrary to popular belief, the longest blade you can find may not be the best choice – bigger isn’t always better. It really depends on what you’re going to be using the chainsaw for, and we go into that in more depth inside the article. It’s a great article to get you started. 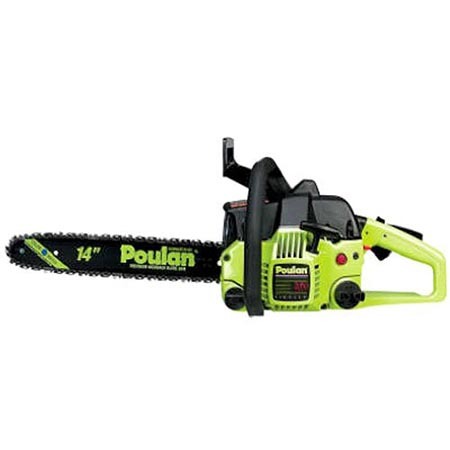 Making the choice between a gasoline-powered chainsaw, electric chainsaw, or a battery-powered chainsaw can be a difficult decision. For some it’s a straightforward choice to go with electric because of the obvious benefit to the environment, but that’s not a clear choice for everyone. Power may be a more important consideration for some – especially as many gas-powered chainsaws are now quite environmentally friendly as well. Making a decision on what type of power tool is the best option is never easy, but in this article we try to make things a little clearer so that you can make a truly informed decision. If there’s one article in these information articles that I’d really recommend at least taking a quick look at, it’s the one that looks at how to operate a chainsaw safely. Anytime you’re using a power tool of any kind, safety should always be your primary concern. The risk of injury is always ever present, so it’s important to be armed with as much information as possible to make sure you avoid the risks associated with using a chainsaw. This article looks at this more closely. Today’s chainsaws are a lot more user friendly than they were a few decades ago. Manufacturers now include many different features designed to make them easier to operate and to reduce the amount of maintenance you have to perform on them. Features such as automatic chain oilers and tool-less adjustment mechanisms have changed the chainsaw market for the better. In this article we look at these key features as well as other items. When you’re using a chainsaw it isn’t just injury due to contact with the chain on your skin that you should be concerned about. Chainsaws can be awkward and heavy, which can lead to a lot of wear-and-tear on your body. When you’re looking into purchasing a chainsaw you should also consider your own physical limitations, or you might just end up with an expensive power tool that sits in your garage and never gets used because you find it too hard on your body. In this article we look at what you need to consider if you’re going to avoid physical harm when using a chainsaw. The standard chainsaw design most of us are familiar with isn’t the only option on the market. In recent years manufacturers have introduced some innovative alternatives to traditional chainsaws that have some clear advantages. This is a great article if you’re a home owner, as these alternative chainsaw designs may be of real benefit. This article takes a closer look at what those benefits are. I believe there are two key things that you should take away with you after reading these information articles. First, you should have a better understanding about what types of options you have when it comes to purchasing a chainsaw. Second, you should be much better prepared to operate one safely when you do buy one. While each article can be read on its own, we do encourage you to read as many of them as possible. We’ve tried to keep them as short as possible, while still including all of the necessary information that you may need. If you have the time, reading all of them will give you a great overview of chainsaws and all of their features.